When you go out on your own, there is a ton of information you need to ensure you’re earning enough money for your life, preparing for taxes properly, maximizing expenses, prepping for GST/HST, choosing your ownership structure and budgeting for inconsistent cash flow. The internet is an information overload and you can get bad information. Let us help you make sure you’re on the right track and help you feel in control of your finances! Here are the types of things we can go over! 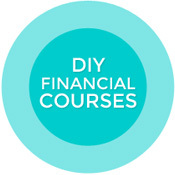 Systematic banking (which is worth its weight in gold) for freelancers… it can exist! Risk/Reward for incorporating vs sole proprietor vs partnership (Having a Business Number with the CRA doesn’t mean you’re incorporated.) Note, we don’t cover any of the legal issues with this. We look at the financial risk/reward from a tax planning point of view only and always suggest speaking with a business lawyer as well. How to register your business, when you need to. 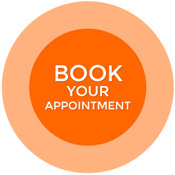 If you book one of our COMBO sessions (i.e. personal financial session/investor consult) you will have a discounted fee that is made up of a combination of the two sessions. You will ALWAYS know exactly what you will be paying before hand. We are 100% transparent.